A huge thanks to Dave Ramsey’s ELP program for sponsoring this post! Before I get into my list, though, I want to share my big, overarching secret with you when it comes to managing finances: It’s all about your mindset. There have been times in my adult life where I have played the victim when it comes to our finances, thinking things like, “I wish we could just be normal. I want to go into one store and buy whatever I want without having to worry about shopping around for deals or staying under budget. I’m sick of tracking our spending,” etc., etc., etc. And ya know what? I easily get off track when my mindset is negative. When I am excited about saving and meeting our financial goals, though, it almost ends up being like a fun game. It’s a challenge to see how much we can save and what we can do to improve our financial picture. I love what Dave Ramsey says in his book The Total Money Makeover, “If you will live like no one else, later you can live like no one else!” Make it fun. Make it a challenge. Keep the big picture in mind, stay focused, and stay positive. That’s the real key to making this thing work. So once I created my pretty little budget, I had to know whether I was sticking to it or not, right? The only way to do that was to track our spending. We’ve done this a couple different ways. We have used online programs and apps on our phones to do it. If you’re a technology person, that may be the route you want to go. 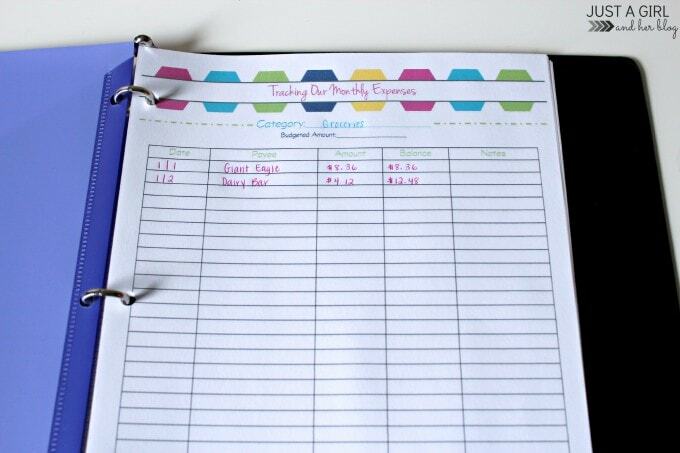 I’m a pen and paper person, so in the second half of my budget binder, I have a sheet dedicated to each of our budget categories– I write down everything we spend on groceries on one list, clothing purchases on another, gas on a third list, etc. This way, it’s easy to go into the binder at any point during the month and see how we’re doing. If it’s only the middle of the month and we’re already coming close to our budgeted amount for gas, we can keep our car trips to a minimum. If my grocery budget has run out and there’s still a week left in the month, I know my family will be getting creative meals since I’ll be cooking with whatever I already have on hand! 🙂 On the other side of the coin, though, tracking our spending also helps us to know when we have room to make certain purchases. If I haven’t spent any of my clothing budget and it’s getting to the end of the month, I know I can pick up those jeans I’ve been wanting and not feel guilty at all because we had money set aside in the budget for that. While I’m looking at my budget and working on tracking my spending, I also like to make some goals. Goals are another thing that I am pretty much obsessed with because I think they WORK! If I am aiming for something and have a plan to get there, I am so much more likely to achieve it than if I’m just sitting around waiting for it to happen! Making a small monthly goal looks like this: I take a look at my previous month’s spending and identify an area of weakness. For me, this might be home decor items or crafting supplies. I might make a goal to cut my home decor spending in half for the next month. I write it down, tell my husband about my plan to give myself some accountability, and then any time I’m out that month and I’m tempted to buy something for our house, I’m reminded of my goal and reevaluate my purchases based on that. Maybe your weakness isn’t home decor. Maybe it’s clothing or eating out. Maybe it’s even items for your kids. Whatever it is, identify where you usually splurge and try to cut back. Even if it’s only 10 or 20%, it will be a savings! I love making smaller goals like this because when I achieve them, it spurs me on and gives me confidence to tackle bigger things. And while we’re talking about bigger things… it’s great to have larger goals too! 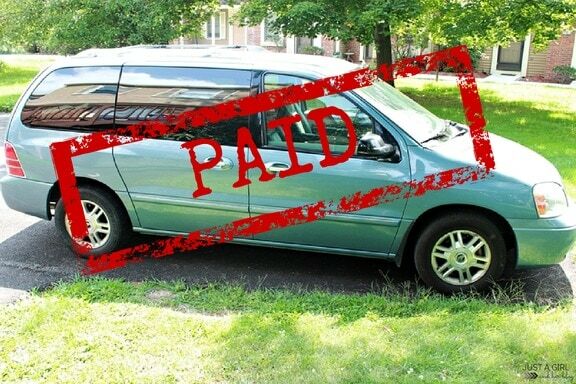 When we purchased our mini van, we made it our mission to pay it off early and save ourselves a ton on interest payments. Because we were always working toward that goal and constantly putting whatever money we could toward it, we were able to pay off the van in less than two years rather than the six years that our loan would have lasted. Not having that car payment each month gives us more money that we can put in savings or direct toward other needs. This one is definitely all about mindset. Yes, it’s easy to say, “I really wanted to see that new movie but instead I’m missing out just to save a little money. This stinks.” But if you choose to make it fun, you’ll still have a great time AND you’ll be thrilled at the end of the month when your bank account is not empty! Get a group of friends together to watch a sporting event or do game night and have everyone bring a snack to share. Put the kids to bed early and have a stay-in date with your spouse– cook dinner together and borrow a movie from the library! (See, it’s good for your marriage AND you’re saving money!) 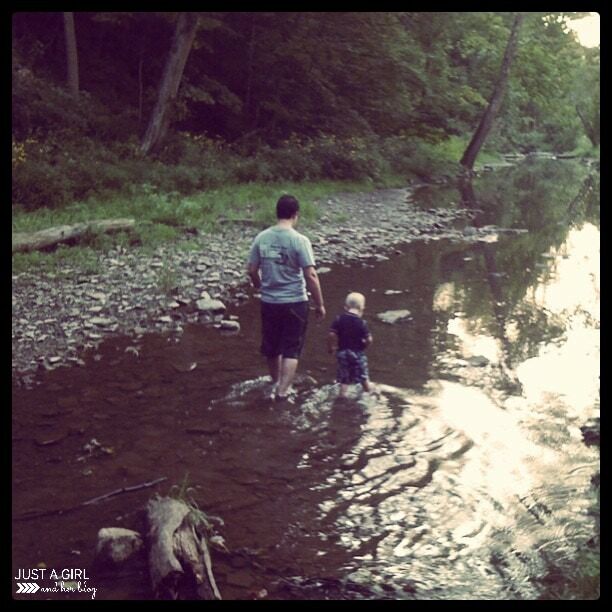 Take the kiddos to a local park or farm. There’s a large farm near us where you can pet all of the animals and even play in a little splash park, and the only thing they ask is that you bring some bread to feed the ducks! It doesn’t get much better than that! There are awesome free activities out there if you go looking for them! This is a tough one for me. My son’s preschool is right across the road from Target, and it is so easy to want to run in and pick up a few things all the time. Those small purchases (usually impulse buys) add up, though, and if I’m simply not in the store, I won’t be making them. Right after I had my surgery, I spent a few weeks in my house recovering, not going to stores, not buying anything at all. And you know what? I still had everything I needed! We were still able to go about our day-to-day lives and our household continued to function. It was really eye opening to see how much I had been spending on all of these small incidental purchases just because I was visiting the store frequently. And speaking of impulse buys, let’s try to take the “impulse” out of it. Creating a mandatory waiting period before purchasing something that wasn’t on your list can help to curb those spur-of-the moment buys and ultimately save you money. It could be something as small as creating a section in the cart to hold potential impulse buys and making a conscious decision to reevaluate each and every one before you check out to make sure you actually need it in your life. Or take it one step further by implementing a one week mandatory waiting period before you make a purchase over $50. That way you are actually walking away from the store and will have to make a concerted effort to go back if you decide that the item in question is needed. I know that when I do this, I often don’t end up going back for the item simply because it’s inconvenient, and guess what– I save money AND my life is still complete without said item! I know we aren’t the only ones with extra “stuff” lying around that we don’t use anymore. Chances are, though, that someone else would be happy to pay you for those things you aren’t using! Amazing how that works! If the weather is still warm where you live, have a yard sale! If it’s not, list your stuff on Craigslist. (Obvious but important note: always use extreme caution when meeting up with someone you don’t know!) 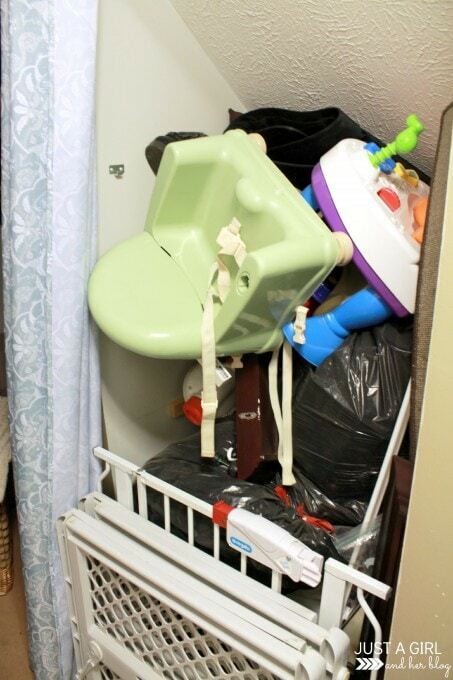 We did this with the Cs’ nursery furniture and ended up getting a good amount of money back. Or try eBay for more expensive things that require a larger audience. We sold some American Girl items I had from my childhood that were still in great condition on eBay. Our boys wouldn’t play with them, but others were happy to have them and we got some cash out of the deal! The “Fulfillment by Amazon” program is another great option. Donnie has made a decent amount of money selling his old books through this service. You would be amazed at what people are willing to pay for your old stuff! When I talked about making a budget, I mentioned listing all of our recurring monthly payments. If some of those payments were smaller (or didn’t exist at all! ), we’d have more money to put toward other things. When we took a look at our monthly payments, we definitely saw some areas that could use improvement. We ended up getting rid of cable and using a Roku instead. We’ve spent two years without it, don’t miss it at all, and we’re loving the savings! We switch between internet service providers all the time because we always want to be with the one that is running the best deal. We did the same thing with cell phone providers and don’t have a home phone. We shop around for insurance often to make sure we’re always getting the best rates. We recently had one of Dave Ramsey’s insurance Endorsed Local Providers (ELPs) look over our home and auto policies to see if we were getting the best possible rates, and we were thrilled to find out that we were. If you haven’t had your policies reviewed lately, Dave has hand selected the best of the best insurance providers in your area that can help you get the best rates and possibly save you *hundreds* of dollars. It only took me a few minutes to gather the information our ELP needed to crunch the numbers, and in return I got the peace of mind of knowing that we weren’t overpaying for insurance. It’s simple to find an ELP in your area through Dave’s website— check them out and start saving! Donnie is great at this final tactic. I am always telling him that he is a money hoarder. 🙂 Any time we have money come into our main bank account other than his paycheck, he is always siphoning it off into our savings account so that we don’t touch it! It’s a mind game really. If we look in our checking account and see a large balance, it is way easier to think, “Oh great, now I can go out and buy that ______________ that I’ve been wanting for a while!” If the money is in savings, though, and we have to jump through a bunch of hoops to get to it, we are a lot less likely to make those same purchases. So now that you’ve saved a bunch of money by budgeting, selling your stuff, minimizing your monthly payments, etc., get that money out of your checking account and into an account that’s more difficult to access. It will add up more quickly than you think! Whew! That was a lot! And I could even go on because I get so excited when I start talking about saving money and improving our financial picture for the long term! So what financial strategies will you be implementing this month? 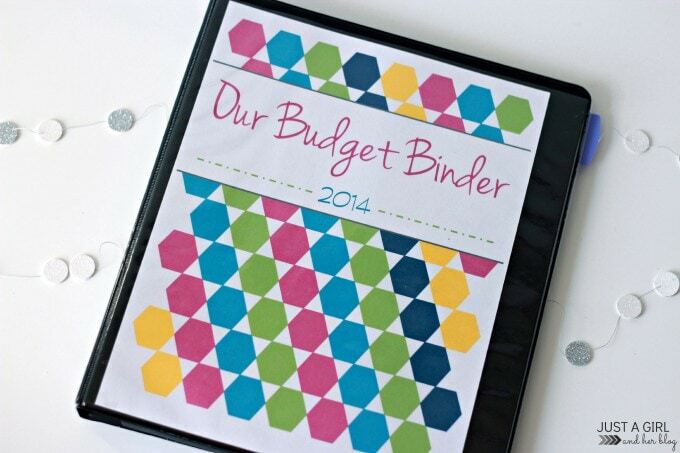 Will you take the time to set up a budget and track your spending? Will you sell some of that old stuff that’s just laying around in the basement? Will you contact one of Dave’s ELPs to make sure you’re getting the best possible rates on insurance? Whichever method(s) you use, be proud of yourself for making the decision to improve your financial picture. The peace of mind that comes from being “financially fit” is so worth it, and it is never too late to start. You can do this! 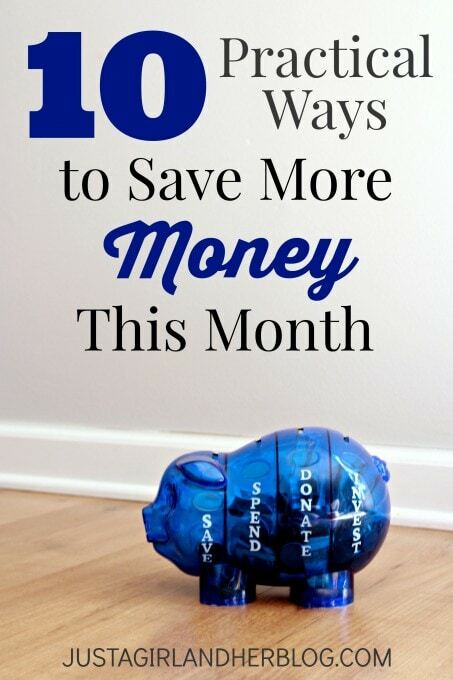 What practical money-saving tips would you add to this list? A huge thanks to Dave Ramsey’s ELP program for sponsoring this post! For more information, see my disclosures here. So, so smart, friend! You guys really “get it!” Thanks so much for the pin! Hope you’re having a wonderful weekend! Great post. We hope to get with a financial planner soon so we can get the hubby’s credit fixed and buy a house in a few years. That is a great goal! Best of luck with saving! Great post Abbey! We had been saving for a vacation. It was like a game. I found money everywhere, like the car console, in drawers, and saved it instead of going out to eat. Then we received an inheritance. We were able to pay for the whole trip, no problem. But the there was no fun in it. I really love the feel of accomplishment that I felt as we worked toward our goal. It was a true reward! I hear ya! There is a huge feeling of accomplishment when you work hard to save for something! When you make it a game, it can even be fun too! Hope you’re having a wonderful weekend, Rebecca! Thank you! Great ideas and ways to save…I appreciate you sharing with us! I will be passing this one along to my daughter! Thank you so much, Karie! Hope you’re having a wonderful weekend! So smart, Margo! I love that idea! Thanks so much for sharing! I couldn’t agree more with taking MONEY out of the checking account before you spend it!! We automatically transfer money from our checking to our savings each month… but, now we need to move that savings money into a brokerage account so that we really can’t touch it easily. The more off limits, the better! 🙂 Money hoarding works wonders, right? Have a wonderful weekend, Carrie! Thanks for the great inspiration, Abby. I really like your idea of keeping track of spending with individual pages for each area. That’s makes it very clear! Yes! Dave really knows his stuff! Total Money Makeover completely changed the way I thought about money, and I will always be thankful to him for that! Hope you’re having a great weekend, Sonya! Another awesome post. It is so refreshing to find others who do not need it all today. Budgeting is different for everyone. I have been able to SAH for 28 years. We have had tight budgets, saving budgets, college budgets and retirement budget, vacation budget and house repair budget for many years now. I have never felt deprived. We even traded off years saving for house repair and vacations. One year would go toward family vacation. The next year a roof or furnace that we knew was old. I am happy for all people who are able to make choices of how to budget their money. I wish you all success in your money management. I like the idea of switching off from year to year, Karen Marie!! So smart! I use almost all of those tips and I am really happy about the results. Saving money became kind of a hobby of mine and can be quiet rewarding. I think I’ll try taking notes on exactly what I spend the money and find a free of charge hobby. Thanks for the post! When it’s a hobby it becomes kind of fun, right?! I love the challenge of it! Hope you’re having a great weekend, Ania! I love this! My husband has always been so bad with saving money, we only just opened up an online savings, and I just transfer any spare money in there that I can! It adds up SO fast, you’re right! And my mother is queen of Ebay haha so I’m pretty good at selling our random little things! Ooh I could use an Ebay queen around here! 🙂 Sounds like you’re set! Hope you’re having a wonderful weekend, Kate! 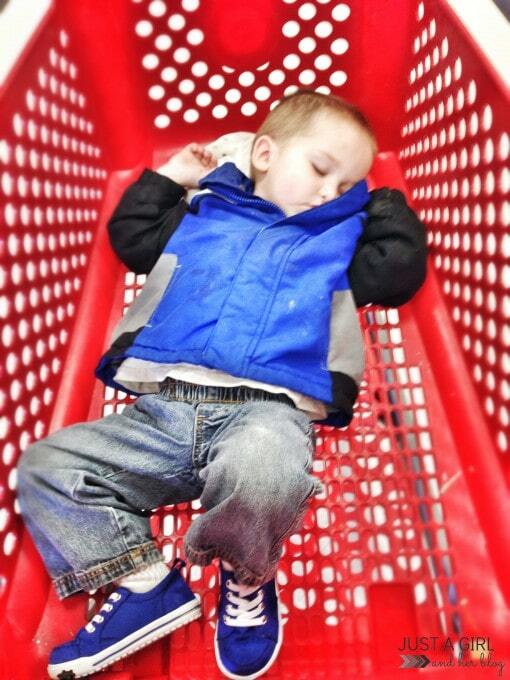 One thing that really helped us and is very “Dave Ramsey” is spending cash… it is way harder and more emotional to give up 4 crisp twenties then to swipe a card at Target for some new cute clothes. Yes! So true! It’s such a good physical reminder that “when it’s gone, it’s gone!” Great tip, Theresa! Thank YOU so much for hosting, Miss M! Great party! You’re so right about siphoning money right out of checking and into savings! Out of sight, out of mind does wonders. Thanks for linking up at #FinSavSat! Truth! 🙂 Thanks so much for hosting, Mel! Hope you’re having a wonderful weekend! I hear ya! We love a good DIY project over here, too! We don’t cut them out altogether, but we do try to do them as inexpensively as possible to stay under our monthly budget! Hope you’re having a great weekend, Alexandra! Great tips Abby! Dave Ramsey’s baby steps helped us get started 4 years okay and we are closing in on becoming debt free! WOW! Congrats on all you’ve accomplished! That is awesome! That Dave Ramsey really knows what he’s talking about, right?! Thanks so much for stopping by, Brian! Have a wonderful week! Abby! Great advice. 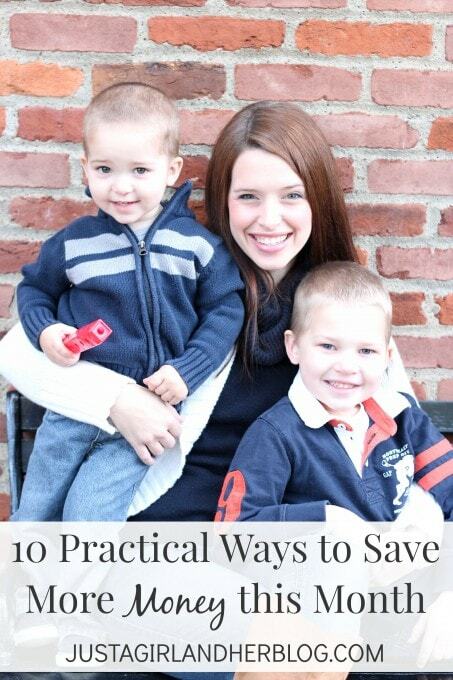 As a stay-home mom for 10 yrs, those are very practical tips. I also found cooking home from scratch, planning your weekly meals saves a lot of grocery dollars – and kids eat healthier too! Love those tips! I have been making our own bread lately, and it’s definitely more work, but I love the savings and that it’s healthier! Hope you’re having a wonderful week! You are amazing. Looking forward to all that I will learn from you! Thank you so much, Lauren! You are the sweetest! Hope you’re having a wonderful week!